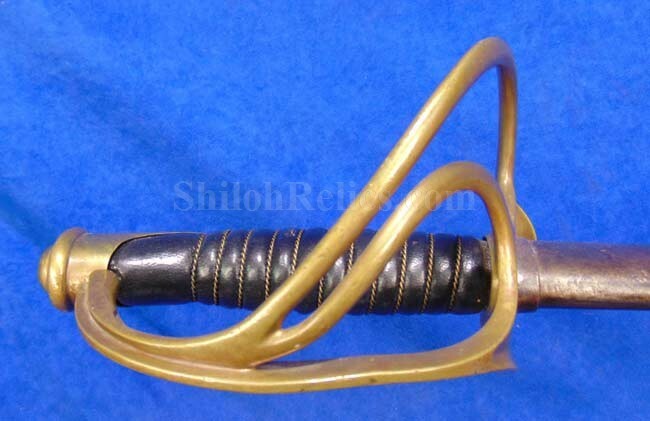 This is an authentic and classic model 1860 cavalry saber. 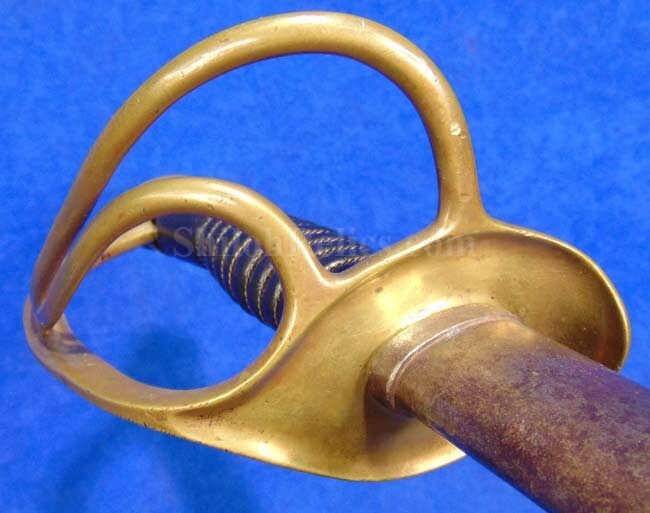 This is the style that most people think about when they think of a Civil War sword. 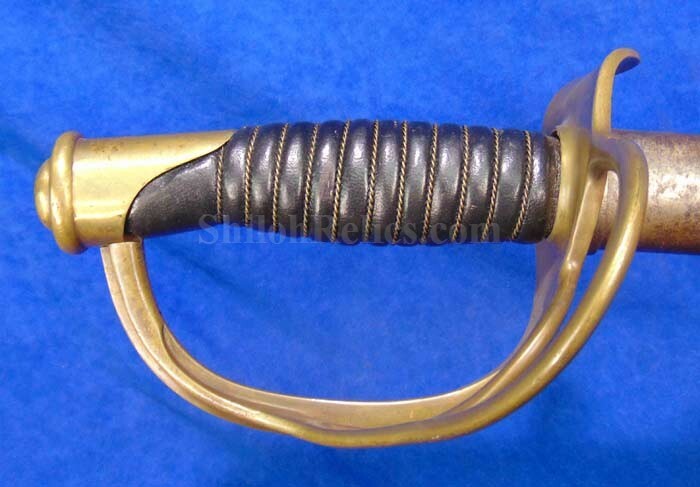 It has a full-length blade with the scarce maker’s mark of D.J. Millard of Clayville, New York. Millard was a quality maker of edged weapons of the Civil War but they only made 10,000 and compared to many contracts that number isn't a lot. 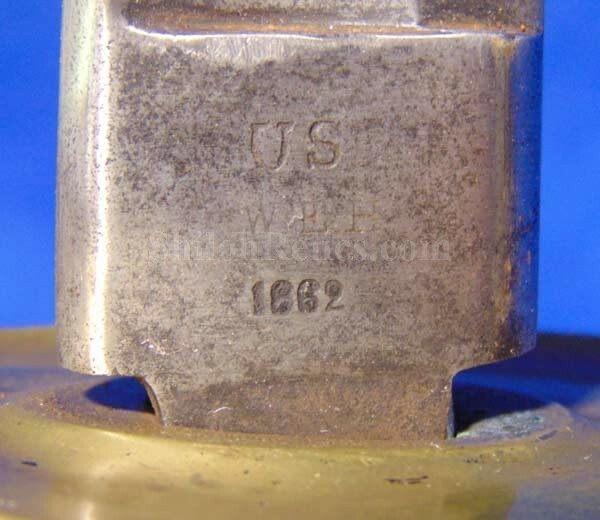 The front of the blade has the production date of 1862. Also on the blade are the inspector initials of "WEH". These are the initials of the inspector that approved the sword for military use, William E. Hosmer. 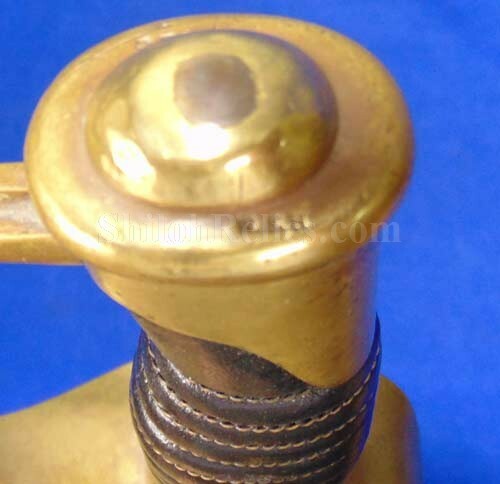 The brass on the guard and pommel cap both has a nice ancient golden tone to the metal. The handle has been expertly restored for display purposes and now has a fine look with the leather that has a pretty black look. 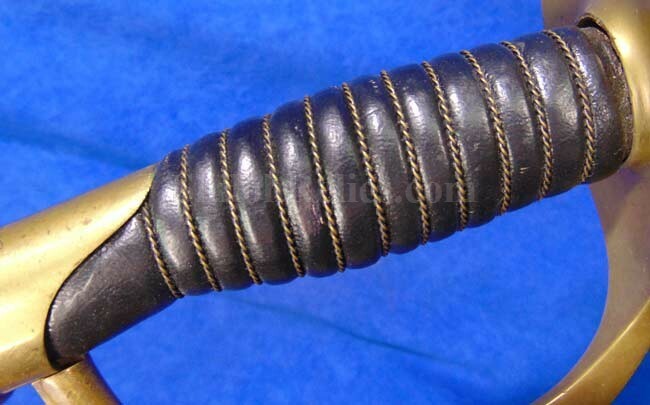 The double twist brass wire has been restored as well and is still wrapped tightly around the grip. 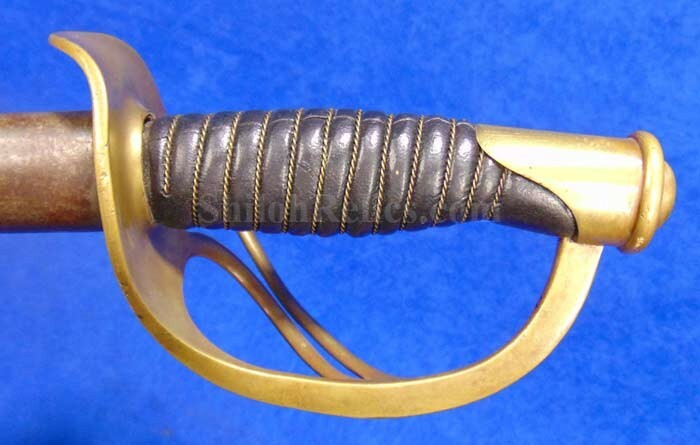 The sword is accompanied by an original scabbard that has the mounts, rings, throat and drag intact. If you look at the wear to the drag you can tell that the soldier used this one during the war. 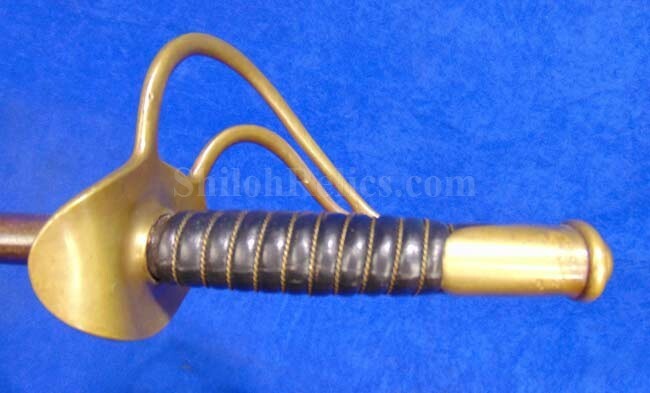 This is a fine looking original classic model 1860 Civil War cavalry saber from one of the toughest to find maker‘s that you will encounter.